If you or someone you love is a victim of medical malpractice, do not let the defeat of Proposition 46 deter you from seeking the justice and rightful compensation you deserve. While it is true that the passage of Prop 46 would have resulted in much-needed changes, particularly in the maximum non-economic damages that a medical malpractice victim could pursue under the Medical Injury Compensation Reform Act (MICRA), its defeat does not prevent you from pursuing justice. A news release from Consumer Watchdog quoted the author of Prop 46 as stating, “This was a battle worth fighting. But the battle doesn’t stop here.” The article goes on to say that one of the primary benefits of having Prop 46 on the ballot was that it brought attention to the injustices suffered by the victims of medical malpractice in our state. Fortunately, with the help of a skilled attorney, victims of doctor errors or medical negligence and their families can fight these injustices to pursue the maximum economic, non-economic and punitive damages they are eligible to receive. Economic or compensatory damages: This type of damages is for specific, “out of pocket” losses an individual has suffered as a result of the injuries he or she sustained. Medical expenses, rehabilitation costs, vehicle repairs, transportation costs, loss of wages, future loss of income and other types of financial losses are all examples of economic damages that can be sought by a victim of medical malpractice. Non-economic damages: Non-economic damages can be sought to compensate a victim for the pain and suffering he or she has endured. 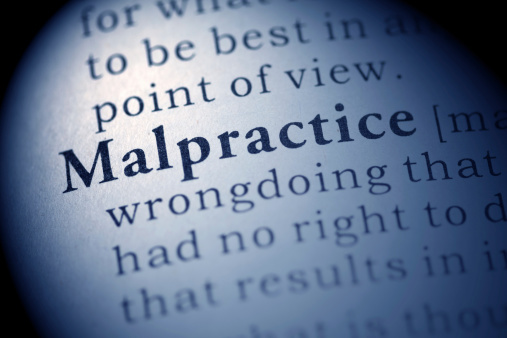 A victim of medical malpractice can seek to be awarded non-economic damages for mental anguish, physical disability, disfigurement, emotional distress, loss of enjoyment of life, or the destruction of a familial relationship. Immediate family members who have suffered the loss of a loved one due to medical malpractice may also be able to seek non-economic damages for loss of companionship, loss of potential earning capacity and more. Punitive damages: In cases in which a medical professional’s reckless or reprehensible actions led to a victim’s injuries or wrongful death, punitive damages can be pursued to punish that practitioner as well as to deter others in that field from such actions in the future. The type of medical negligence or doctor error, as well as the severity of the injuries sustained, will be key in determining the damages a victim can pursue. Our firm is well versed in medical malpractice and is highly qualified to assess your case and advise you of any damages that could be awarded to you. Although the Sacramento Business Journal reported a sweeping defeat of Proposition 46, with a margin of 67.1 percent against and 32.9 percent in favor, advocates of Prop 46 remain committed to cracking down on medical negligence. Victims of medical malpractice, family members of those who have suffered or lost their lives due to medical malpractice and other proponents do not intend to let this temporary setback stop them. According to the article, and as the President of Consumer Watchdog says, “The fight for patient and consumer protections is just beginning.” Victims of medical malpractice deserve to be adequately compensated for the pain, suffering and loss they have experienced. As a victim of medical malpractice, you have the right to seek compensation for your physical and emotional injuries. Contact a personal injury attorney so they can help you protect your rights and pursue the justice you deserve.